Bedrock has just been wrecked by a meteor shower. 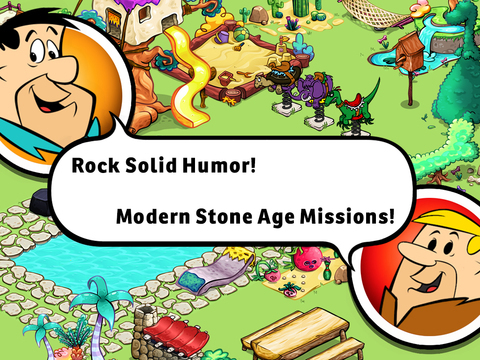 Reunite the Flintstones and the Rubbles in the house you rebuild! Reconstruct Bedrock as you like. 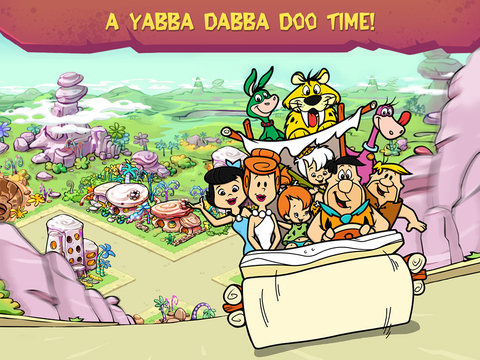 In this Yabba-Dabba-Doo story, get all family members back to have fun together! They can all use unique GIZMOSAURS (animal appliances of the modern Stone Age!) or go shopping in the city! You are FREE to make your own choices, create your story and follow the missions that guide you! 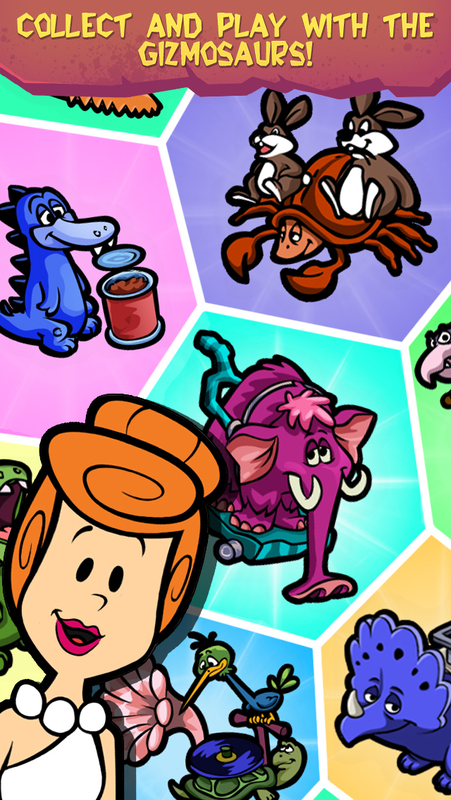 – Play with Fred, Wilma, Barney, Betty, Bamm-Bamm, Pebbles, Hoppy, Dino and Baby-Puss! – Use 350+ items to customize your House and City! – Visit your friends’ personal games! -Fall in love with NEW Gizmosaurs! 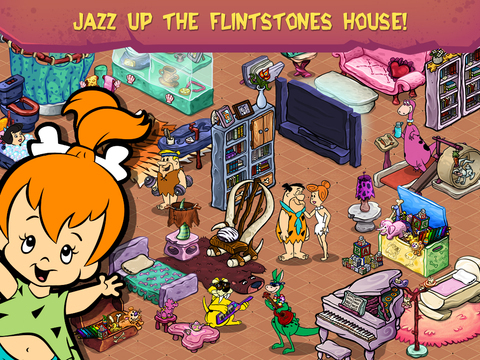 -Decorate The Flintstones house with NEW romantic furniture! -Enchant Bedrock with NEW buildings! 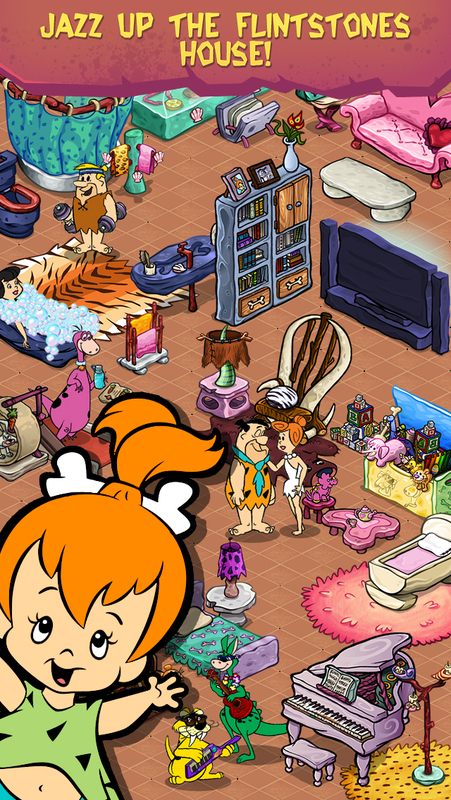 So, spend this Valentine’s Day cuddled up with The Flintstones and make sure you don’t miss anything! 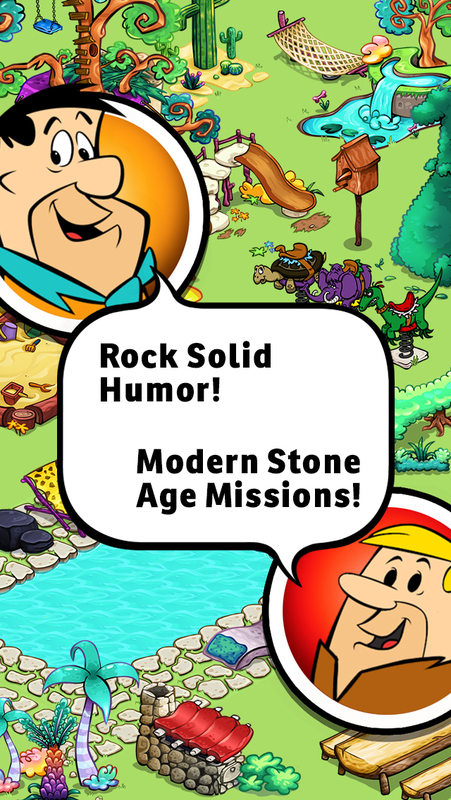 The Flintstones software © 2014 Ludia, Inc. 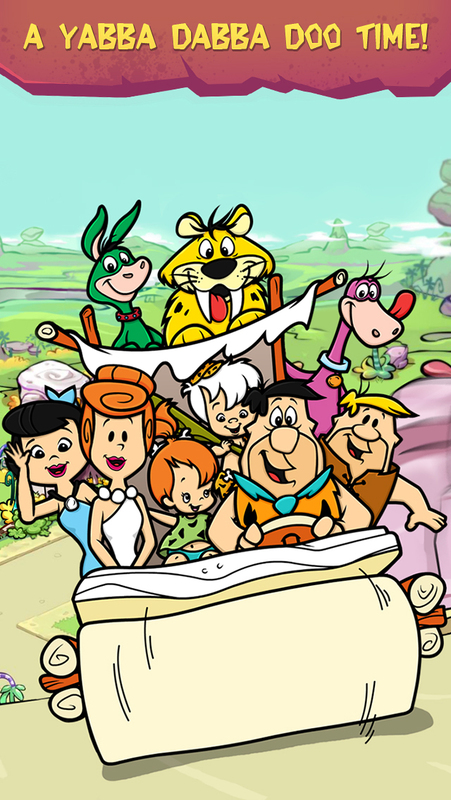 The Flintstones is a trademark and copyright of Warner Bros, Animation Licensed by Warner Bros. Entertainment Inc. All Rights Reserved. The Red Button - Do Not Tap It !